THE ONE Condos is a new pre-construction condominium development by Mizrahi Developments located at 1 Bloor Street West, Toronto on the Yonge and Bloor intersection with a 100/100 walk score and a 100/100 transit score. This new addition to the prestigious Yorkville area is designed by Foster + Partners & CORE Architects. THE ONE Condos will be 82 stories tall (1005 ft) and has a total of 416 suites. The proposed condo complex would stand taller than the highest buildings in Toronto, except for the CN Tower. 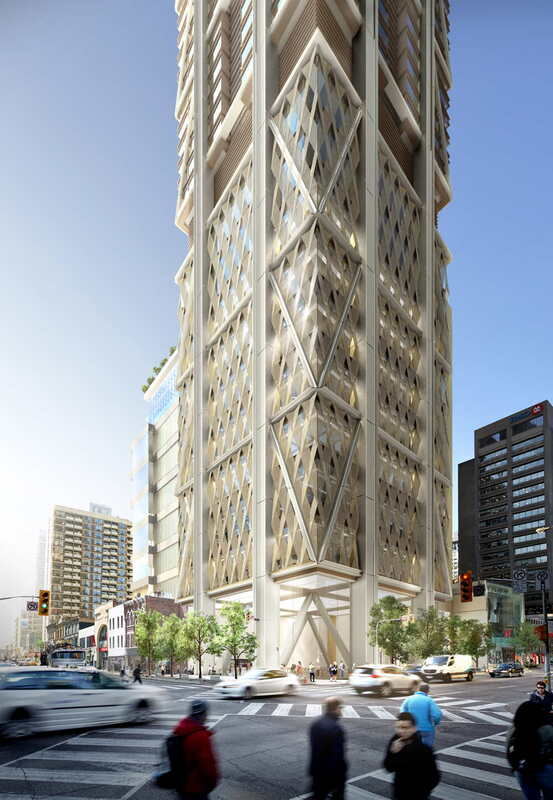 Canada’s future tallest building is one big step closer to becoming a reality. This is Canada’s leading luxury marketplace, located in the busiest pedestrian and subway intersection in Toronto. With a combined total of 401, 250 subway riders per day, a 24-hour pedestrian volume of 51, 392 and a 24-hour vehicle volume of 31,600, Yonge and Bloor is a shopping destination for people from across the city. The site gives Mizrahi Developments maximum flexibility for the creation of a truly iconic structure with mixed-use components that will meet the demand for retail in this important neighbourhood where the vacancy rate is the lowest in the city. With underground access to Toronto’s main east-west and north-south subway lines, THE ONE will have multiple storeys of light-filled retail and commercial spaces – “jewel boxes” with walls of glass that are uninterrupted by supporting columns. 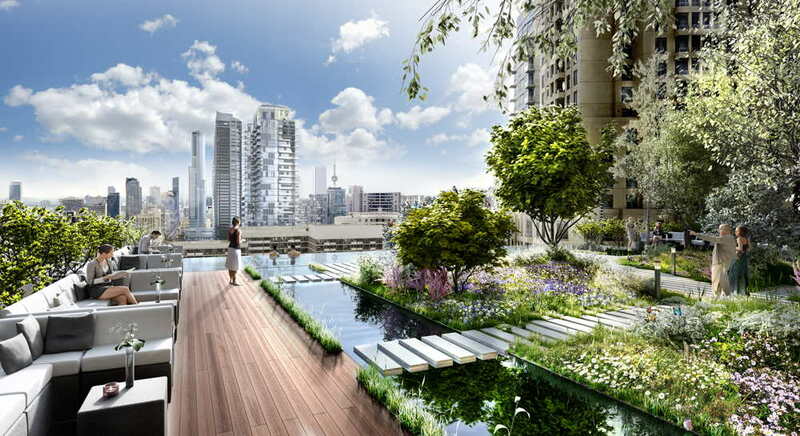 Expect high-level retail at THE ONE condos. World-class restaurants, fashion centres and other high-end retail tenants. THE ONE will be a destination in the nexus of the city. The highest pedestrian count, vehicle count and the transit corner of Toronto, THE ONE will be a destination in the public realm where all can congregate: similar to the Rockefeller Centre. A partnership is about values, what you want to achieve and why. Simply put, Mizrahi Developments came about with a vision of several goals to change expectations in the industry. Firstly, it was a desire to enhance the changing streetscapes of Canada with carefully articulated, mid-to-high-rise buildings that give those who work and live in them as much pleasure as those who pass by their exteriors. But just as important as what we build is the notion of how we build. THE ONE will present a new retail promenade with widened streets and landscaping that extend the mink mile. Whatever you are shopping for, THE ONE offers carefree, curated setting for you to browse, meander, indulge and just be. A visit to local museum doesn’t have to be saved for rainy day. When you live in Bloor Street you have Art Museum, University of Toronto, BATA Shoe Museum, Gardiner Museum, The Textile Museum of Canada, The Royal Ontario Museum and Design Exchange in the walking distance. Staying in shape isn’t all protein shakes and pumping iron. It’s about feeling good while committing to your fitness. Aside from THE ONE Gym, you will have access to many Fitness and Yoga clubs in the neighbourhood. Taking the cues from contemporary designers, the key is matching the trendy with timeless. Bloor Street is a luxury shopping destination. Few things compare to a night at the theatre. From Bloor to College St. you are well within reach of some of the greatest the city has to offer on-stage. A world of incredible flavours, distinguished cuisine, and amazing delights are revealed when visiting any of local favourite Coffee Shops and Restaurants. Register now to receive up-to-the-minute information and the opportunity to be among the first to buy in this iconic project. MATERIAL AND WILL NOT BE LIABLE FOR ANY DAMAGES (WHETHER DIRECT OR INDIRECT INCLUDING BUT NOT LIMITED TO ECONOMIC LOSS, CONSEQUENTIAL, PUNITIVE, AGGRAVATED, EXEMPLARY, GENERAL OR SPECIAL) RESULTING FROM THE USE IF ANY INFORMATION CONTAINED HEREIN OR IN ANY OTHER MARKETING MATERIAL.